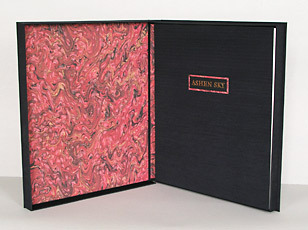 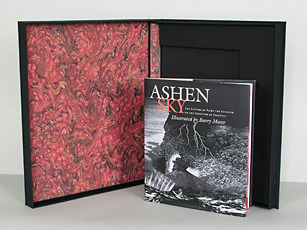 Barry Moser’s Ashen Sky Deluxe Edition Cases. 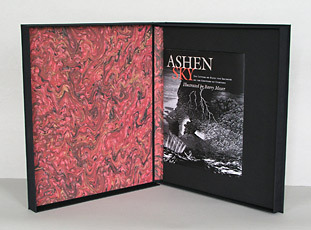 Used by museums and artists the world over, the drop spine box is an archival storage and transport case for prints and books. 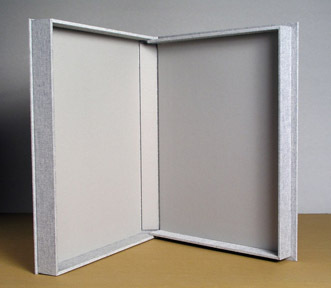 They can be custom built to the size and design criteria that best serve your individual requirements. 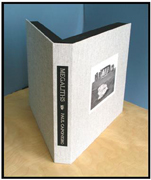 For years libraries and institutions have been housing their rare books in archival boxes to keep them from harmful exposure to light, air, and pollutants. 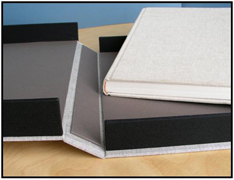 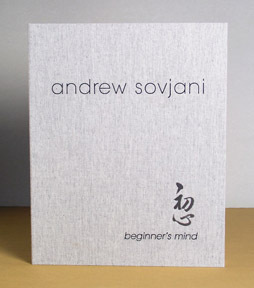 You, too, can benefit from this kind of protection for the finer books in your collection.